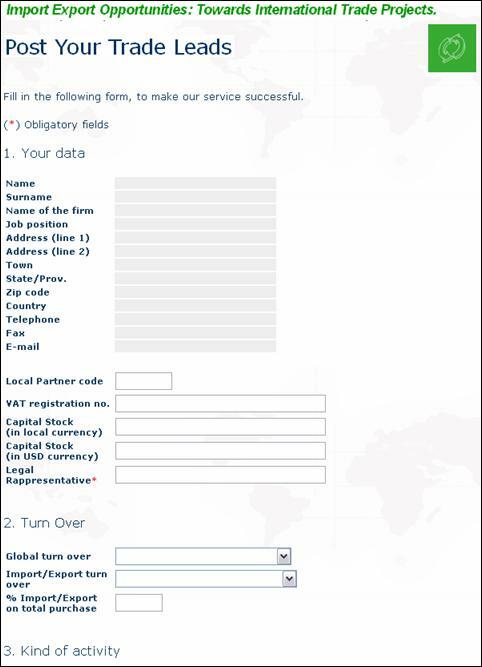 This service will allow you to Search for products and services in the global B2B market. If you are an agent and look for a company to represent. 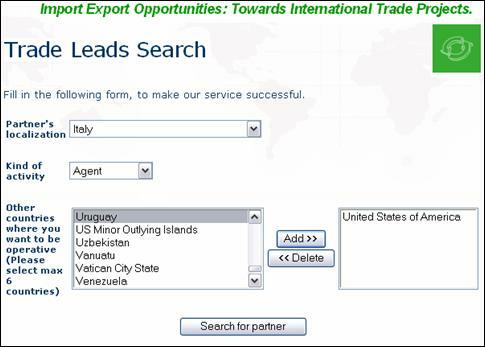 Just go to Trade Leads Search and specify your potential partner localization in one main country or more (up to six) and his kind of activity. 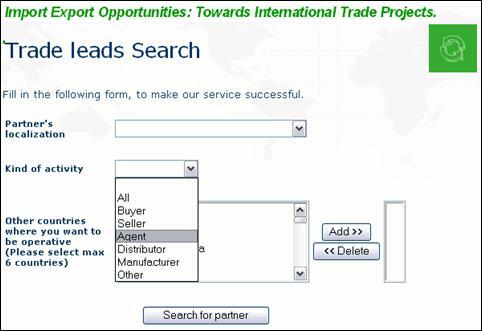 This service will allow you to Post Your Trade Leads for offers and demands of products and services in the global B2B market. 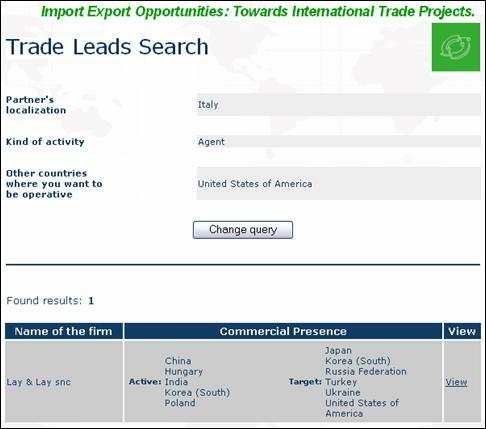 Just go to Post your trade leads and specify all the relevant data to your trade lead, your kind of activity your potential partner localization. The more data you insert the more accurate and positive is the outcome you wish to obtain.